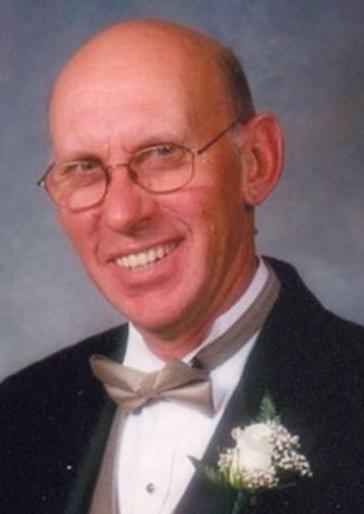 Alan F. Kutz Sr., age 70, of Markesan, passed away at his home on Monday, February 4, 2019. He was born on October 14, 1948, in Baraboo, WI, a son of Delbert and Irene M. (Schliepp) Kutz. Alan proudly served his country in the United States Air Force from 1968 to 1972. On February 20, 1971, Alan married Peggy O’Brien at St. John’s Lutheran Church in Princeton. Alan was a dairy farmer and a truck driver. Over the years he drove truck for Badger Mining and Bob Kirst Trucking, both from Fairwater. Alan was a member of Mt. Zion Evangelical Lutheran Church of Ripon. He enjoyed collecting and restoring old tractors, taking trips in his RV and traveling. Alan loved being with his family. Those Alan leaves behind to cherish his memory include his wife of 47 years, Peggy O’Brien-Kutz of Markesan; 4 children, Alan (Becky) Kutz Jr. of Fairwater, Robert (Kelly) Kutz of Berlin, Joseph Kutz of the Phillipines, Rebecca Kutz of Omro; 5 grandchildren, Ethan (Dakotah) Kutz, Janee Kutz, Zachary (Tori) Kutz, Lily, Chloe; 2 great grandchildren, Raelynn Kutz, Aria Rhyner; his mother, Irene M. Kutz of Markesan; 3 brothers, Bill Kutz of West Bend, Steve (Irene) Kutz of Princeton, Dennis (Robin) Kutz of Green Lake; many other relatives and friends. He was preceded in death by his father, Delbert Kutz; brother, John Kutz. A Memorial Service for Alan F. Kutz Sr. will be held on Saturday, February 9, 2019, at 11:30 a.m., with visitation beginning at 10:30 a.m., at Mt. Zion Evangelical Lutheran Church, 320 Mt. Zion Drive, in Ripon. Pastor Michael Sheppard will officiate. Full Military Honors will take place immediately following the service. Please visit our website www.wachholzandsons.com to send a condolence or to share a memory of Alan with his family.